TABASCO® brand Chipotle Pepper Sauce --- 1/2 tsp. Organic blue agave nectar --- 1 Tbsp. Extra-fine granulated sugar --- 1/4 tsp. In a small bowl, combine TABASCO® Chipotle Sauce, yogurt and agave nectar. In a separate bowl, combine strawberries and sugar. Place infused yogurt on bottom of a cup and top with sugared strawberries. 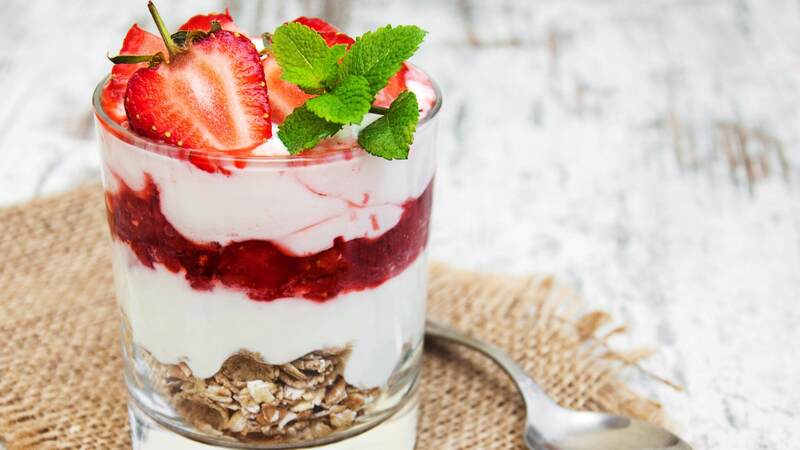 Place granola into an insert cup and place on top of yogurt and strawberries. Finish by placing the dome lid over the cup. Keep refrigerated. Serve.